Discovering Bixiga, the Little Italy of Sao Paulo. A compact neighborhood nestled between the Avenida Paulista and the old city center, Bixiga is Sao Paulo's most accessible answer to Little Italy. The district also boasts one of the city's most traditional samba schools, Vai Vai, one of its oldest professional theaters, Teatro Brasileiro de Comedia, and a high density of bars and restaurants. At night, cantinas and bars take over. Though Bixiga has lost some of its charm and popularity, it remains an icon to 20th century immigration and bohemia. You will not find "Bixiga" marked on any modern city map. By 1914, the municipal government made it part of the Bela Vista district but everybody just kept calling it Bixiga. At the beginning of the 20th century it became a magnet for Italian immigrants. Simple home-builders arrived and set about constructing shotgun homes typically around seven meters wide and 50 meters deep. The first "cantinas" were bars with a "bring-your-own" policy, at least where food was concerned. Interminable card games determined who paid for the drinks, and around 11 p.m. everybody unwrapped their sausage sandwiches (on Italian bread, of course) and had a hearty snack. The first "cantina" to serve its own food emerged around 1910; by the 1930s, a handful of little restaurants was already in evidence. Today, the neighborhood is home to sundry theaters, dozens of restaurants, and countless bars. The restaurants and bars each have carved out for themselves a stretch of Rua 13 de Maio. Some local cantinas keep the tradition alive with in-house musicians who make the rounds of tables. Bixiga has a strong samba tradition, thanks in part to the samba school Vai Vai (meaning "Go Go"). The Metropolitan Cathedral of Sao Paulo, the Sé Cathedral, is the largest church in the city. It is also one of the largest new gothic temples of the world. Inspired in medieval European churches, it began to be built in 1913, but the latest towers under the original project was in the 90s. Since 2002, after more than two years of great repairs, it can be seen almost as planned by the German architect Hehl. -In the crypt 16 bishops and archbishops of the city are buried in the chronological order of death. There are the remains of Tibiriçá - the first Indian catechized by the Jesuits - and the priest Bartolomeu Lourenço de Gusmão, inventor of the balloon and aviation pioneer. How: The most practical means of transport is the subway. 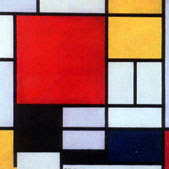 Access to Sé station is done by red and blue lines. When: There are guided visits from 9am to 11.30am and from 01.00pm to 05.30 pm (Monday to Friday) from 9am to 04:30 pm (Saturday) and from 9 am to 01 pm (Sunday). More Info about Copan, one of the symbols of Sao Paulo. Designed in the 50's by architect Oscar Niemeyer with the assistance of Carlos Alberto Cerqueira Lemos, the Copan building came at a time when the city of São Paulo was passing through a dynamic growth and astonishing transformation. 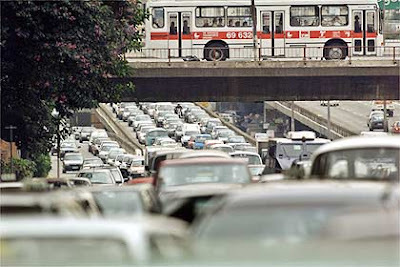 With the advance of industrialization outside the city limits along with a major real estate speculation in the center, two striking aspects happened in this season: a strong urban expansion and a growth of population, which lead to a verticalization in the central area. At that time the economy was strengthened and São Paulo was preparing to be a big city, need icons representative of its greatness. The Copan for its structural grandeur and bold architecture can be considered one of these symbols. The original project commissioned by the Pan American Hotel Company lies in the residential building of 30 floors and another hotel building with 600 apartments. The two buildings would be connected by a Marquise in the ground floor where there would be garages, film, theater and shops, but only the residential building was built. The work was made by the National Company Construction Industry (CNI), was started in 1952, but only in 1953 the construction permit was obtained. After some financial problems the work was interrupted several times. In 1957 Banco Bradesco purchased the rights to build and in 1961 the parts of masonry and reinforced concrete were completed. The sinuous form of Copan breaking right angles of the center of São Paulo, is the mark of its creator. 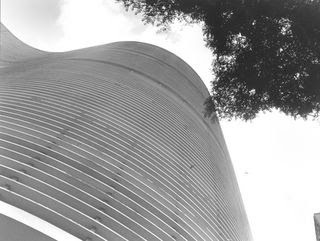 The taste for curve line is the main characteristic of the work of Oscar Niemeyer who wrote: "is not the right angle that attracts me, not the straight, tough, ... what attracts me is a free and sensual curves. .. " (Niemeyer, 1998). Vegetarian and Vegan Restaurants, a delicious and healthy option! 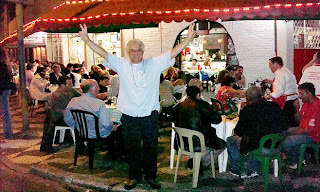 São Paulo is also known as the Culinary Capital of Brazil, so you will find any kind of restaurant in the city. Of course Brazil is famous for the delicious meat, but we are plenty of vegetarian and vegan options. Some of the following restaurants are delicious, and even if you are not vegetarian you should give it a go and try one of them. So choose the closest to you and enjoy the meal! You won’t regret! One of the newest option in the city, the menu gives plenty of choice and you will have the possibility to do culinary class too, it is not the cheapest, but the location is great, in Vila Madalena, this means that you night won’t end after you dinner, the suburb is famous for the night life. Where: R. Fradique Coutinho 766, Vila Madalena. This restaurant is mainly vegan, few dishes are not but they are well signed. While waiting you can have a look at the small bookshop inside the restaurant. 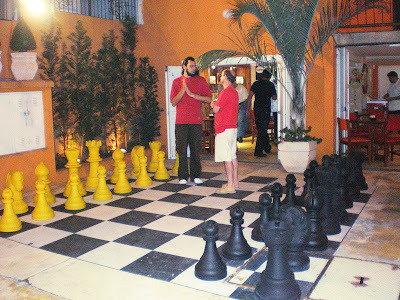 The owner offers other activities too, all related to vegetarianism, so the place represents a meeting point for vegans. Have a look on the site to see what is the latest news. The restaurant works just for lunch, close on Saturday. Cheap price. Where: R. Padre Machado 51, close to metro station Sta. Cruz, Vila Mariana. They have two locations, one in the Center and one in Jardins, the best thing is that you pay 10 Reais (the last time I went there) and you can choose whatever you want on the buffet, including juices and desserts. You are right, this pizzeria is the best option if you are vegan because they invented option to make a great pizza without using animal product, an example? The creamy cheese (requejao) is made with soy. They offer a “rodízio” on Saturday night with dessert included just for 10 Reais, obviously you can’t miss that! Esquina Grill do Fuad is a great place to have a beer with your friends. No one speaks English but it's far to be a problem. Located in a corner between the Higienópolis and Santa Cecília's suburb, this bar has about 40 years of story. Fuad (the owner) is the President of the Association of Residents and Merchants of Higienópolis and also pretty funny. 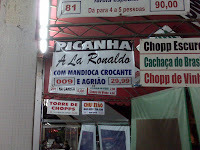 One of his dishes is called "Picanha a La Ronaldo" (Rump a la Ronaldo [photo]) as an honor to the famous soccer player who lives on the neighbourhood. The staff is pretty helpful and the menu has plenty of other smart names. Organize your time, put a sandals and have some beers on this bright corner. Wi-Fi free zone. When: Every day from 11:30am till the last client.